Brown Pundits: "Crossing the river by feeling the stones"
Blogger-badshah and king of economists Jyoti Rahman makes the (convincing) case that Ziaur Rahman is the true father of modern-day Bangladesh, whose efforts have directly contributed to the (relatively) advanced social parameters as well a number of foreign policy achievements. Indeed JR goes so far as to state that Bangladesh can be an inspiration to all the struggling Arab countries/people. 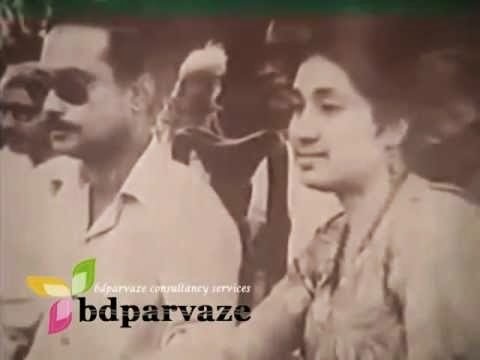 Paraphrasing JR, while ZA Bhutto promised Islamic socialism in Pakistan, Ziaur Rahman actually implemented the same in Bangladesh; Sheikh Hasina (current PM) is now promising Islamic secularism. Perhaps Imran Khan will be better inspired by looking east instead of west. The problem we have with Zia (and the other Zia as well) is that he rejected the concept of a secular republic. [ref. 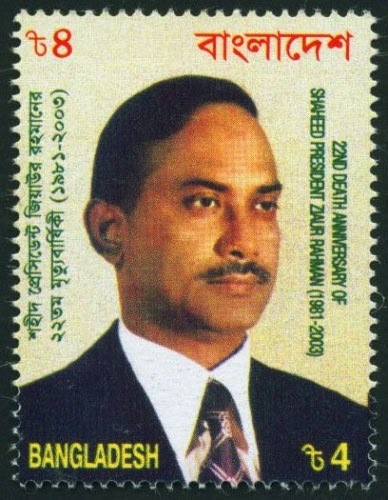 Wiki] The secularism principle was removed from the constitution in 1977 by Ziaur Rahman and declared Islam as the state religion. In 2010, Bangladesh Supreme Court restored secularism as one of the basic tenets of the Constitution but also kept Islam as the state religion. While such a step may have been considered to be pragmatic (80% muslim pop) the practical impact has oscillated between bad and (mostly) worse. While Islamic socialism/secularism has been good for Bangladesh it has not been so good for its Hindu minority which has pretty much one viable option: surrender your property and move to India. It has not really mattered which regime was ruling, military or civilian, Begum (1) or Begum (2). At least when the Bangladesh National Party (BNP) is in power, the atrocities against Hindus are highlighted (by Awami League aligned liberals). In contrast when the communal fires burnt recently in Jessore and in Chittagong there was not much ink spilled (analog or digital). Also this. The only people in India who care to talk about ethnic cleansing of Hindus in Bangladesh are the Hindutva brigades. The fall-out from this (in the states/districts bordering Bangladesh) has been fairly predictable. As the (mostly) secular left fades away, the communal right is taking its place. Today, migrants from Bangladesh are under the gun everywhere (often literally, as in Bodoland). Unless people find a way to reconcile thousand year old hostilities and neutralize poisonous ideologies, things will go from bad to worse, everywhere. Amartya Sen has noted how Bangladesh has better social indicators than India despite having only half the per capita income. This theme has been picked up by a number of 40th anniversary pieces that note that Bangladesh has done pretty well when it comes to human development, despite unfriendly nature and dysfunctional politics. As it happens, the beginning of pretty much all the examples of ‘good results’ recorded by Bangladesh can be traced to the Zia era. Take population control for example. In the 1970s, population was growing by 3% a year, and was expected to double to 150 million by the mid-1990s. That has been delayed by well over a decade, and population growth rate is now between 1-1.5%. At the time of independence, Bangladeshi women on average had 7 children. By 2008, according to the World Bank, fertility rate had fallen to 2.3 — close to replacement level that stabilises population. The reason for this includes concerted government efforts — something again initiated by the Zia regime, and continued by everyone since. But activities of the NGOs and the emergence of the ready made garment sector have also played their part. Of course, both the first Aarong shop and Desh Garments (first RMG factory) started when Zia was the president. From all accounts, Zia’s pragmatism seems to be heavily influenced by Deng Xiaoping’s philosophy of ‘crossing the river by feeling the stones’. Instead, what Zia claimed to base his economic policies was ‘social justice’ – সামাজিক ন্যায়বিচার in Bangla. Now, social justice has never actually been defined formally. But we can guess what he would have meant by this from the policies and developments adopted and initiated under his watch. I would contend that social justice would involve economic growth, which translated into jobs and income from the rural and urban poor and less affluent classes. I would contend that social justice would mean stable prices and macroeconomic stability. I would contend that social justice would mean government programmes that ensure safety nets such as food vouchers for the needy. Social justice, I would suggest, would involve active government programmes for human development, and particularly development of the marginalised sections of the society.